Chris Butera enjoys going to metal concerts, reading and having a cold one with friends. Lord Mantis is a band not for the weak of heart. The Chicago act contains a unique sound merging doom metal with ambiance and is clearly influenced by horror soundtracks. The lyrical themes are often focusing on the occult. Call it “terror doom” if you will. Lord Mantis has three blood curdling albums available for your listening pleasure entitled “Spawning the Nephilim,” “Pervertor,” and their most recent release “Death Mask” which has spawned a video (above) for the song “Possession Prayer.” Each album contains its own chilling artwork. If there’s anything that can be said it’s safe to say that Lord Mantis’ material is for mature audiences only. If you’re in the mood for pizza with class, look no further than Pizza D’Amore. 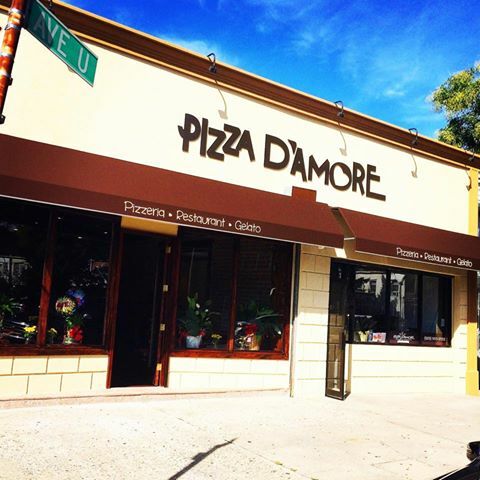 Located on Avenue U and Strickland ave, Pizza D’Amore’s exterior looks like an average sized shop, but it has so much more to offer. The Brooklyn kitchen surprisingly takes up a small section of the eatery to make room for the traditional restaurant portion of the venue while the main dining area – resembling a cabin; takes up the front. The place is much bigger than it appears on the outside. The food is delicious and the service is remarkable. Italian classics like eggplant parmigiana and calzones are cooked to perfection while healthier alternatives such as BLT wraps are stacked with flavor. If you’re eating in you’ll be surprised with complementary garlic bread garnished with a healthy dose of pesto sauce for snacking. 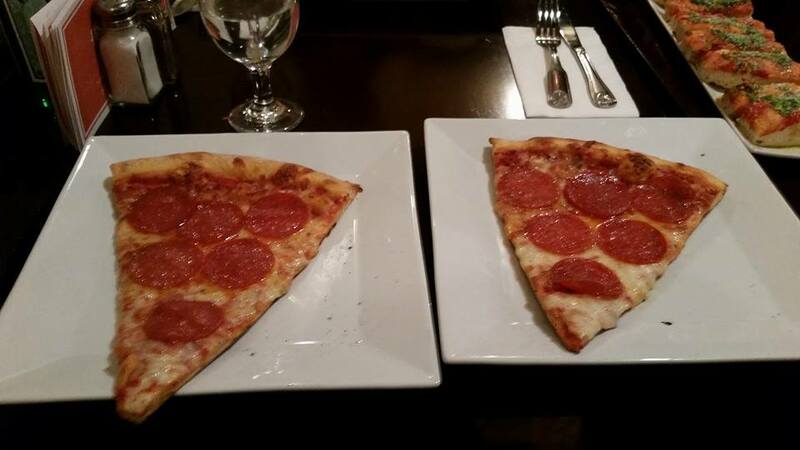 Even slices of pizza are served elegantly, with each individual slice on its very own plate. As if there wasn’t enough confusion in the Terminator franchise, here comes Genisys. Apparently, John Connor is sending a Resistance soldier back from the future to a time before the first Terminator in order to save his mother Sarah Connor from the terminators to prevent judgment day. Additionally, the past has somehow been altered to the point where it is now in the middle of Terminator 2 and there are two Arnold terminators and an asian T-1000. If you’re confused, you’re not alone. The trailer does show off some great visuals and teases cool action sequences. It’s also really nice to see Schwarzenegger in a Terminator film again. The special effects look killer and the CGI doesn’t look too digital either, which is always a plus. Unfortunately, being good looking is not enough to get the audience any less bewildered by the plot, or lack thereof. Exhumed is a death metal band from San Jose, CA that will sonically tear you to shreds. Boasting a total of six albums, Exhumed is fronted by vocalist/guitarist Matt Harvey, bassist turned guitarist Bud Burke, Mike Hamilton on drums, and rounding out the bass is a guy named Slime who also fronts the Philadelphia death thrashers known as Coffin Dust. America’s answer to Carcass, Exhumed was started by Harvey in 1990 and signed to Relapse Records in 1998. Their early work consisted of short, technical grindcore that focused on ridiculously gory lyrics. If you need a visual, check out the cover of their first two albums “Gore Metal” and “Slaughtercult”. Around the release of their third album, “Anatomy is Destiny;” Exhumed began to shift towards longer groove oriented songs, transitioning further into the realm of death metal – not unlike Carcass had done in their own career. In 2005, Exhumed released a covers album a la Metallica with “Gabage Daze Re-Regurgitated”. 2011 was a turning point in Exhumed as the band had finally begun to gather some mainstream attention with the release of “All Guts, No Glory,” embarking on tours with Napalm Death, Cannibal Corpse and others. Exhumed then released their sixth and most recent album “Necrocracy” in 2013. 2014 has been an interesting year for Exhumed as they have just wrapped up a tour with Carcass and Florida death metal legends Obituary. They are currently playing select dates with Aborted, Origin and Miasmal on the “Hell Over Europe” tour from November 20-December 20. In February 2015 Exhumed will be going into the void on the “Through Space and Grind” tour. Iron Reagan, Black Crown Initiate, Napalm Death and Voivod. Dayglo Abortions, Phobia and Ringworm will be joining them on select dates as special guests. As of Friday, we now have the first look at JJ Abrams’ Star Wars. The visuals are stunning and vivid as all Star Wars films are. We see several X-Wings and the Millennium Falcon take off, new Stormtroopers, and even a sweet new lightsaber, yet something’s missing. Perhaps any inkling of a plot. Who are the people in the trailer? Do they have any significance to the film? Where and why are the Stormtoopers about to land? What are we supposed to be investing our time in? The only thing The Force Awakens gives us is a good look at the 2015 Star Wars toy line. On June 12, 2015 we will yet again have a T-Rex – or worse. Universal Studios revealed the official trailer for Jurassic World Wednesday and it seems that after three failed attempts, Dr. Hammond and company have finally opened the park for business. People and dinosaurs interacting for the first time, Sea Worldly attractions, and running with dinosaurs has finally become a reality. Unfortunately it looks too good to be true as man has decided to continue to play God. The Jurassic World scientists have spliced dino DNA to create a hybrid carnivore that’s not only highly intelligent, but very hungry as well. Its up to Chris Pratt (Guardians of the Galaxy, Her) and a band of misfits to save the day in another thrilling adventure. Having said that, it is a breath of fresh air to once again see the park and even better to see Hammond’s vision complete. Judging from the trailer, Jurassic World may not be as good as Jurassic Park, but it will definitely be better than the two sequels that precede it (The Lost World, Jurassic Park 3). Hopefully the film will turn out well but let’s face reality: at the end of the day, we just want to see people get eaten by dinosaurs. 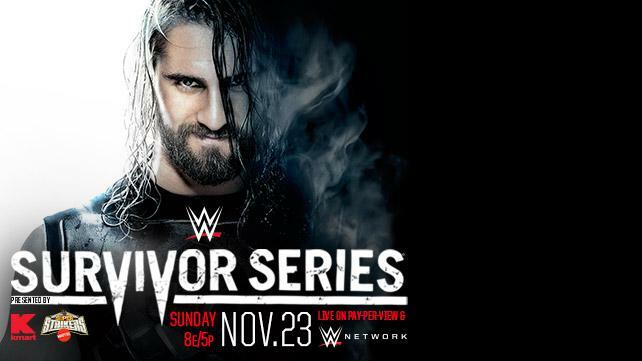 At Survivor Series this past Sunday the unthinkable happened: Sting stepped foot in a WWE ring. All looked bleak for Team Cena as Dolph Ziggler was beaten down by The Authority’s Seth Rollins, Jamie Noble and Joey Mercury before suffering a pedigree from Triple H. Team Authority had done it. All they had to do was have the ref. count to three. Suddenly the sound of crows flapping and cawing filled the arena and the last man anyone suspected walked through the curtain. Sting slowly made his way to the squared circle and engaged in a long staredown with The Game before taking him out with the Scorpion Death Drop. He then took the fallen Ziggler and laid him over an unconscious Rollins for not only Team Cena’s victory but the end of The Authority’s reign of terror. This was done extremely well. Despite internet rumors circulating throughout the weekend WWE did an excellent job of keeping Sting under wraps. Besides, would anyone have believed Sting to ever truly make an appearance in a story arc that had nothing to do with him? The most likely candidate for interference in the match was Randy Orton, who had had a falling out with The Authority in several weeks Prior to the match. Although the rest of the event was mostly decent, we all knew this was the only match that really felt like it mattered. Dean Ambrose’s encounter with Bray Wyatt was a nice showing of a long feud to come. The match was a solid back and forth until the end, where the use of tables, ladders and chairs blatantly set up the real match at next month’s TLC event. A Fatal Four Way Tag Team Championships match was a nice choice for an opener that featured some great spots and a surprise win for The Miz and Mizdow. It seems as if the new “Hollywood A-lister” and his stunt double gimmicks are breathing new life into the careers of these young talents. Adam Rose’s match was a pointless match that was thrown together at the last minute. The bunny was funny for a little while but now it seems everyone just wants Rose to “kill the wabbit”. If Rose’s character can be more vicious like Leo Kruger was, he might be able to get over with the fans. Last but not least, the Divas matches were weak for opposing reasons. The Survivor Series Elimination match was way too long while the Divas Championship match was way too short (33 seconds, really?). AJ Lee can go and Nikki Bella has improved a lot over the years. They have too much ability to be squandered and should have had at least 10 minutes to give the people something to care about. Also, does a common enemy make a person forget about all the grief someone has given them over the past month? If so, then what creates the urge to kiss said person’s opponent as a distraction? Having said that, the main event was a great one as many stories were told that will set up interesting angles over the next few months into Wrestlemania season. The surprise of Sting saving the day made the show as a whole that much more special as it is not just something fans will remember for a long time but one of the last few times we will ever see something like this again.